Auravedic is one of the few brands which manufacture products using Indian herbs which are suitable for Indian Skin. I have reviewed their oil and facepack on R&W. This time I wished to try their Pulpy Face wash. This product is one of its kinds. Read below to know more about it. 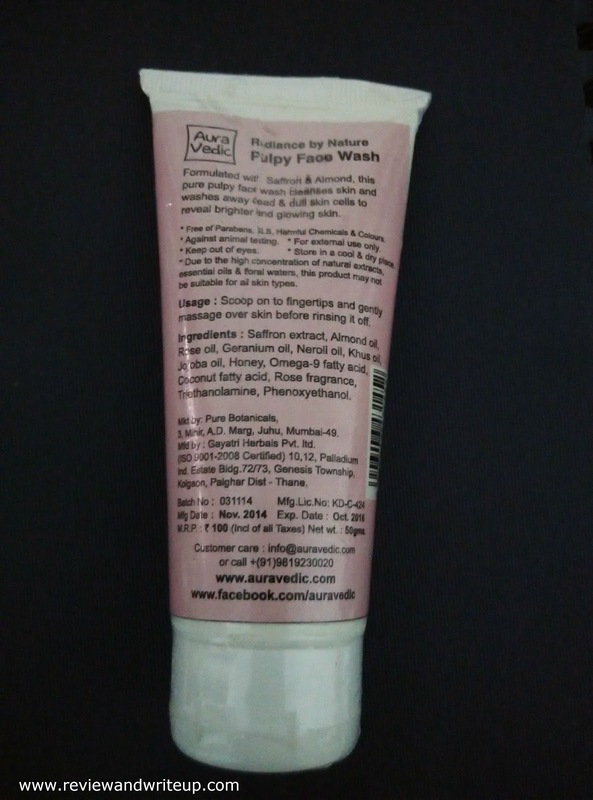 About the Product – Auravedic Pulpy face wash is a unique face wash in market. This product is formulated with Saffron and Almond. It’s free of parabens, SLS, other harmful chemicals and colors. Ingredients – Key ingredients are saffron, almond oil, rose oil, khus oil, jojoba oil. Packaging - It comes in a light pink color squeezable tube with a white color flip open cap. The font used by Auravedic is very catchy to eyes and it makes the products recognizable from a distance. It has very light weight and travel friendly packaging. My Experience With the Product – The texture of face wash is like that of colorless pulp not like gel or creamy texture like other face wash has. It has very light fragrance like easy to miss. I washed my face with water and squeezed some pulpy face wash on my fingertips. To my surprise it didn’t formed any lather. Yes not at all. I squeezed some more but then also no lather. I started applying all over my face in circular motions and lot of face wash just vanished in the process only. A little was left to wash away with water. There was no soapy feeling at all just feeling of massaging pulp on skin. It did cleanse well but I didn’t felt any satisfaction after using it. Mine is oily skin so you can understand that how I must have felt post its use. May be because I am accustomed to lathery face wash. A little glow I felt after its regular use for about two weeks. This face wash would be good for winters but for summers no. 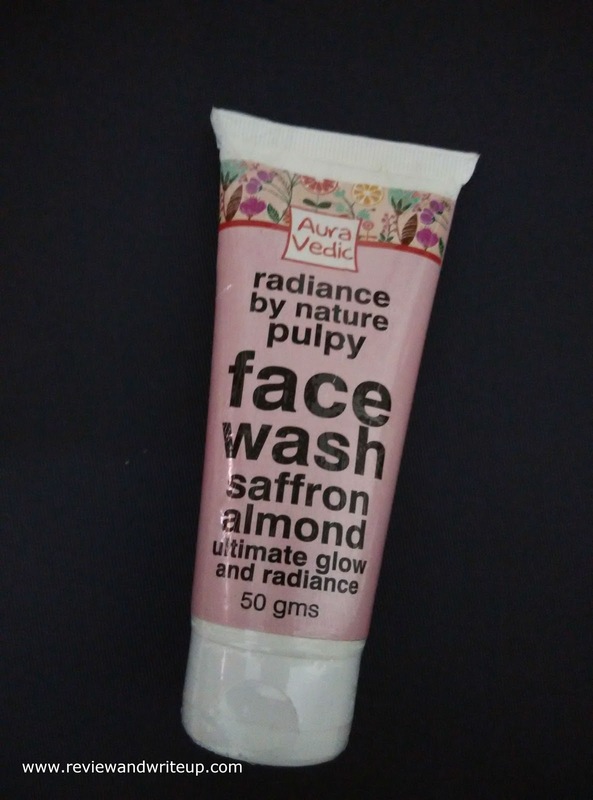 R&W Recommendation – As per my experience it’s an average face wash. If you have super dry skin than this might be just right for you. Also in winters this face wash would be good. Seems like average facewash specially for winters...probably will skip this one..nice review dear..